Congratulations on coding your project. Now you have a chance to add some extra features to your fitness gadget commercial with the add-ons on this page. 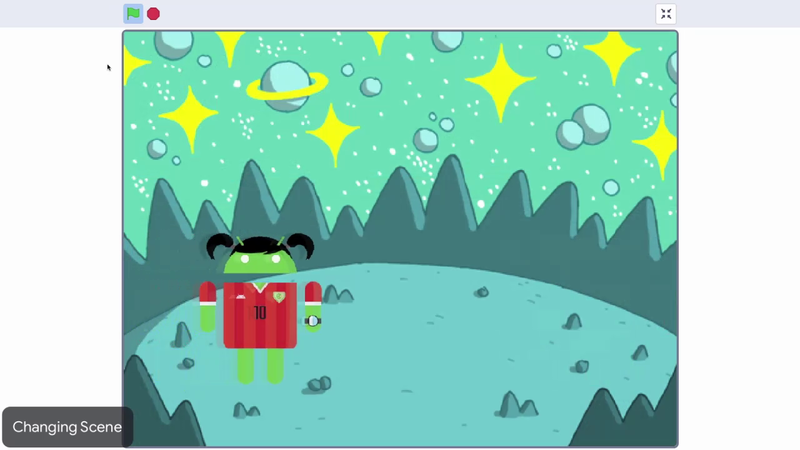 In change scene, move the Android through a variety of different environments to demonstrate that the gadget is all-terrain. In weatherproof, add weather effects to showcase how rugged your gadget is. In purchase decision, code the sprite to ask if the buyer wants to purchase the gadget, then react to the answer. You'll be prompted in fitness coach to code your sprite to appear to have a pulse and talk about how the fitness gadget tracks its heart rate. Pick the ones you want to try. You don't have to go in order. Have fun adding some cool things to your project.